It's Friday, which means that work is almost over for the week. But wait, isn't there something you were supposed to do this weekend? Mother's Day is fast approaching, and there's no time like the present. So instead of truly wasting time this Friday afternoon, make Mom happy and plan ahead. DayForMothers.com: This is truly a one-stop shop for Mother's Day. This site has everything from crafts and books to Mother's Day movies, poems and flowers. This looks like a great resource to include the kids in planning something nice. Also check out MothersDayCentral.com. 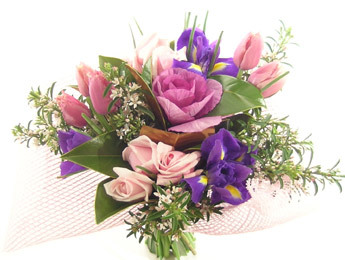 Similar site, has some nice planning tips and checklists and a countdown to Mother's Day. Mom's Favorite Stuff: This site is dedicated to Moms and their necessary gear. Bloggers review products several times per week and include coupon codes for purchasing online. Every item reviewed is Mom-tested so you can be sure to get an accurate overview before purchasing. 123Greetings.com: Your Mom already knows you're a geek, so it should be expected that you send her an e-card. Also check out American Greetings. If your Mom has a wicked (or sick) sense of humor, take a look at Someecards.com - intended for those 18 and over. RetailMeNot: Since you're wisely planning ahead, you have time to shop online for Mother's Day. RetailMeNot offers thousands of online coupons and promotional codes for thousands of retail sites on the Web. Also check out FatWallet.com.